Keep these cute little burgers simple or jazz them up with toppings like sliced avocado or cooked bacon. You can swap Swiss cheese, Monterey jack, or provolone for the Cheddar. And if aioli isn't your thing, use plain mayo. To make the aioli, in a small bowl, whisk the mayonnaise, garlic, and salt until blended. Cover with plastic wrap and refrigerate until you’re ready to assemble the sliders. To make the sliders, in a medium bowl, combine the ground turkey, ketchup, mustard, salt, and pepper. Using clean hands, mix until well combined, and then divide the mixture into 8 equal pieces. Shape each piece into a patty. browned, 1 to 4 minutes. Spread the toasted sides of the bottom halves of the rolls with aioli. Top each with a lettuce leaf and a slice of tomato, and then top with a patty, cheese side up. Cover with the top halves of the rolls and serve right away. 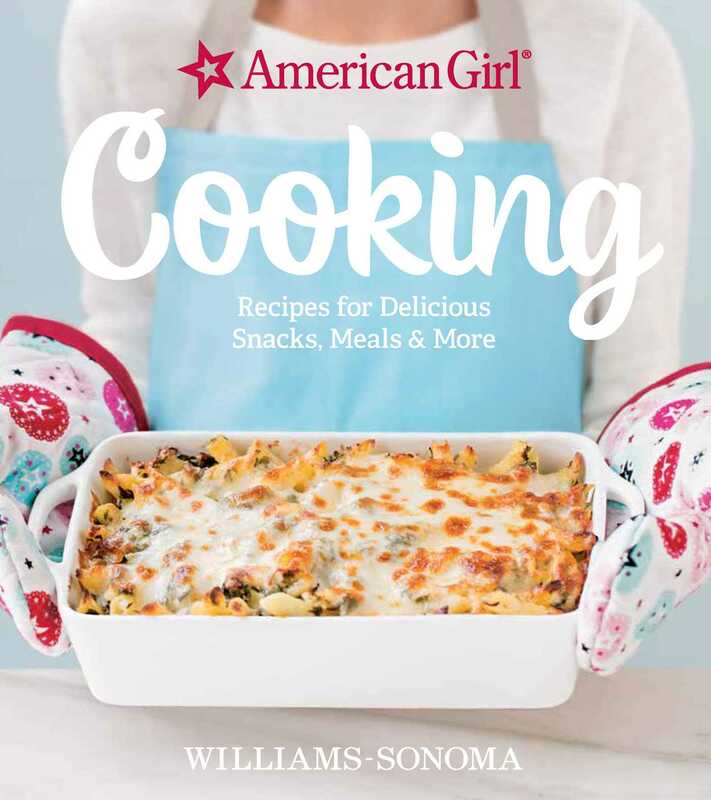 "The first thing that struck me when opened the Williams Sonoma American Girl Cooking cookbook is how yummy (and healthy!) all the offerings looked in the photos; my daughters couldn't wait to get into the kitchen...This is a good choice for young chefs-in-training who'd like to learn about working in the kitchen and the delicious pleasure of making their own meals."